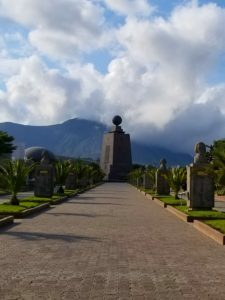 Most people who want to visit the Ecuador equator find themselves at the giant monument Mitad Del Mundo (Middle of the World). It has been marked with a monument since the 1930s declaring it the equatorial line in Ecuador. Construction of its current monstrous monument was finished in 1982, just in time for science to swoop in with GPS systems and say, "Well actually… this is not the Ecuador equator." After a quick internet search, we read that the Intinan Museum — a quick stroll north of Mitad Del Mundo — marked the true equator. 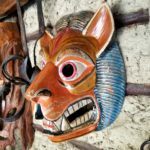 We went, we had a blast, and then it was time to blog about our experience at the Intinan Museum in Quito. But after an hour researching the Intinan Museum, we found that this museum does not mark the Ecuador equator either. Why? The Ecuador equator moves as the Earth changes. Plates shift, more sciencey stuff happens, and there is not a place you can go in Ecuador to straddle a painted line that truly divides the northern and southern hemispheres. Despite this, you should visit. Why? Because it was fun and you, too, can get a cute couple pic where you are on opposite hemispheres. You are supposed to have fun and be a little cheesy while traveling! 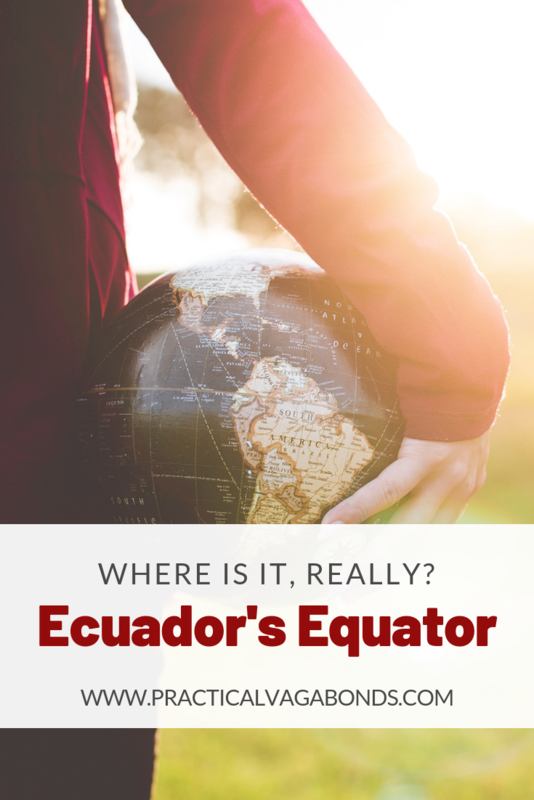 Want to visit the equator in Ecuador? The Intinan Museum is located a couple of blocks from the main entrance to Mitad Del Mundo and costs $4 per person. Once inside, you will join a small group of fewer than ten travelers and be guided through the outdoor museum exhibits. 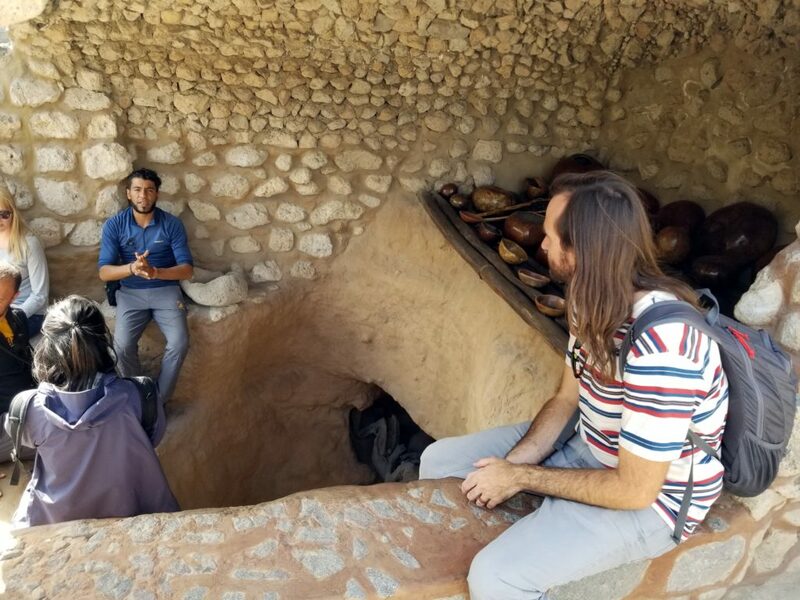 The tour is offered in English or Spanish and lasts about one hour. The tour teaches you about the history of Ecuador, its indigenous people, and equatorial solar culture. 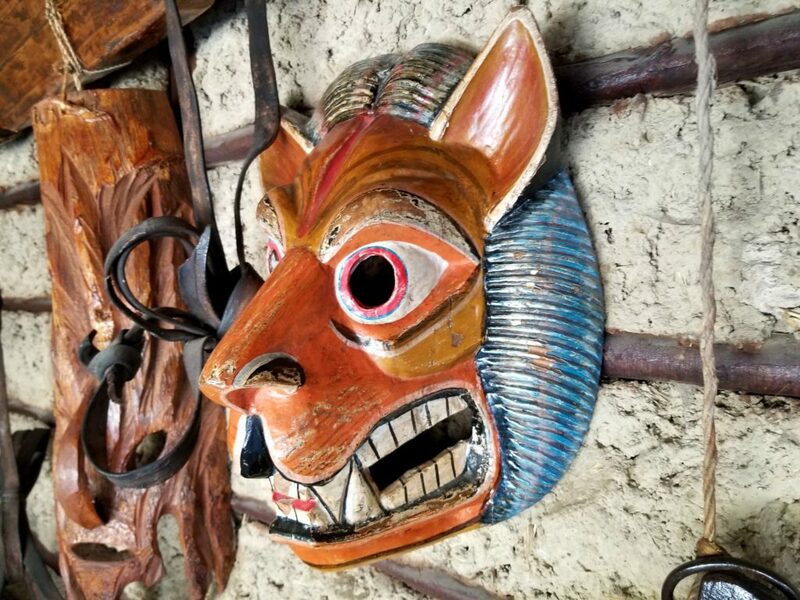 The best and most memorable parts of the Intinan Museum tour are the quirky hands-on activities that “can only be done on the equator.” On the equator or not, you will be entertained! We balanced an egg on a nail and tested our strength and balance on the equatorial line. We also observed water spinning in opposite directions down a drain, depending on which side of the equator it was on. This is known as the Coriolis effect, and was pretty cool. 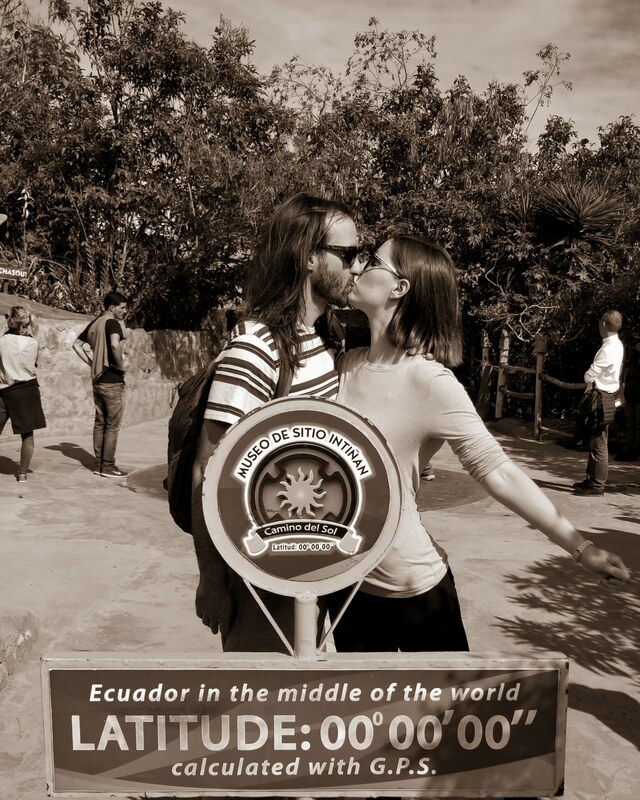 Most importantly, you can take a cheesy travel photo with you and your significant other, family members, or travel partners on each side of the "equator line." Equatorial climates, like in Ecuador, are hot with little seasonal variation. There are typically two seasons along the equator: wet and dry. Sunsets and sunrises on the equator are the fastest on earth. Sunset and sunrise times only change by about twenty minutes throughout the entire year. Traveling by bus is the most economical option and a great way to see the city. Depending on where you are staying — Quito is massive — you may have to take two. A major bus line runs near the Central University of Ecuador all the way to the Intinan Museum. From this area of Quito, it will take about one and a half hours to get there. The busses have signs in their front windows that say "Mitad Del Mundo". Busses in Quito cost between 25 cents and 40 cents per person. Taxis in Quito are not cheap. From Parque El Ejido (a great place for some tasty and inexpensive street food and people watching) it will cost about $25 and take about an hour. This will cost you about the same as a taxi. However, you do not need to have the cash on hand since Uber is linked to your credit card. The best sunscreen ever!!!!! Even if it isn’t the exact location of the Ecuador equator, you are in Quito which is over 9,300 feet in elevation and practically on the equator. We opted to skip Mitad Del Mundo, mostly because we thought we had just been to the site of the real Ecuador equator. Also, the entrance fee to Mitad Del Mundo is more expensive than The Intinan Museum and does not include a guided tour. However, we did stop outside the entrance for a few photos. Go to the Intinan Museum or both the Intinan Museum and Mitad Del Mundo while in Quito. 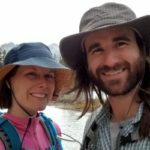 Are you really on the Ecuador equator? No. Will you have fun and make memories? Yes! Pin this for your future travels. How cool to say that you (more or less) straddled the equator?! The cheesy photo is must-do. We’re hoping to get to South America soon, so maybe we’ll have to consider this. Agreed, cheesy photos are a must! You should definitely visit South America, everyone is very helpful and kind. Mitad del Mundo is always in my list. However, I wasn’t aware of this museum. 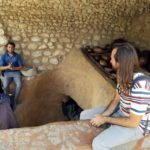 As it is located closeby, I would surely pay a visit to this museum and know more about the history of the people and the place. It would be a highlight of my tour. 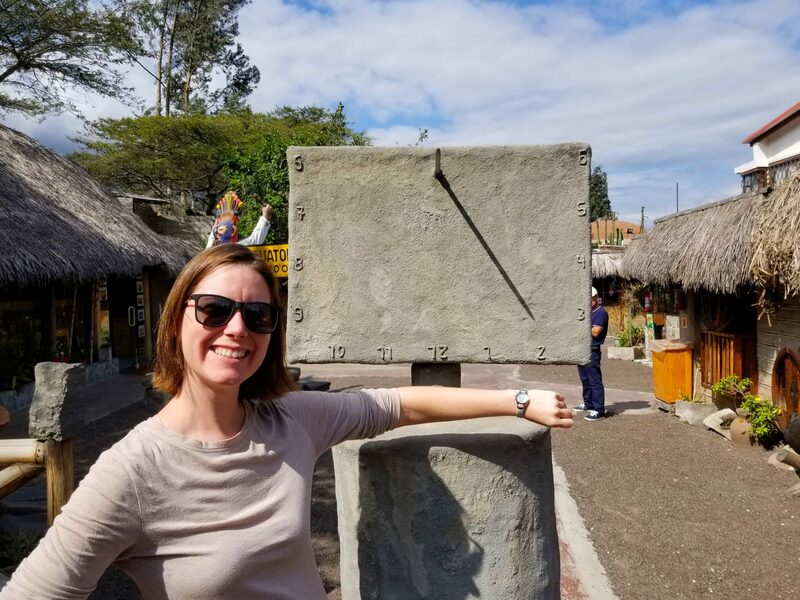 It is about as close as we will knowingly get to the equator in Ecuador. Had a blast!